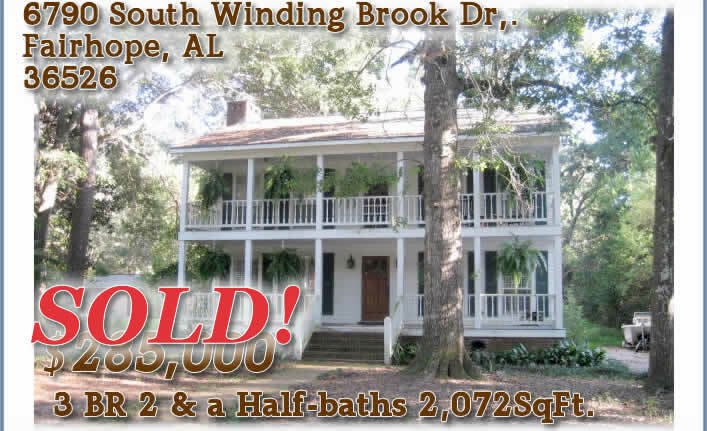 Fairhope 3BR 2.5BA Home for Sale - GREAT Location in Montrose!! 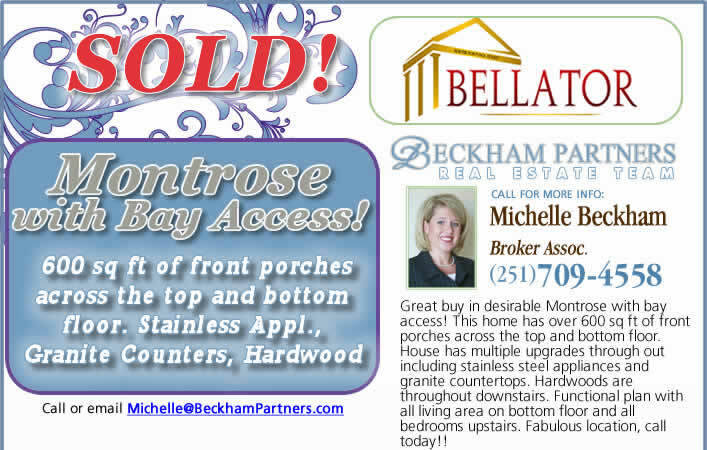 Great buy in desirable Montrose with bay access! 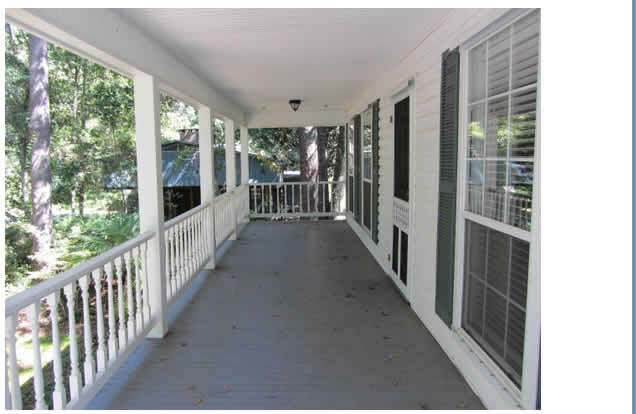 This home has over 600 sq ft of front porches across the top and bottom floor. House has multiple upgrades through out including stainless steel appliances and granite countertops. Hardwoods are throughout downstairs. Functional plan with all living area on bottom floor and all bedrooms upstairs. 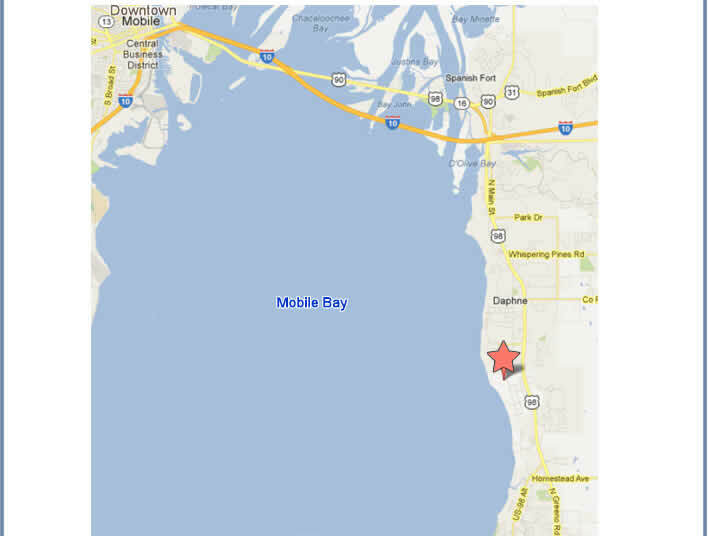 Fabulous location, call today!! 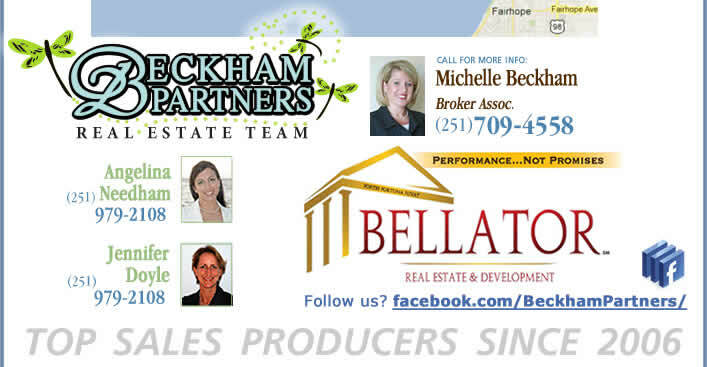 Also, see Beau Chene, Daphne Gated Community , The Meadows Fairhope/Point Clear, Bellewood Daphne, and Churchill Downs in Spanish Fort!